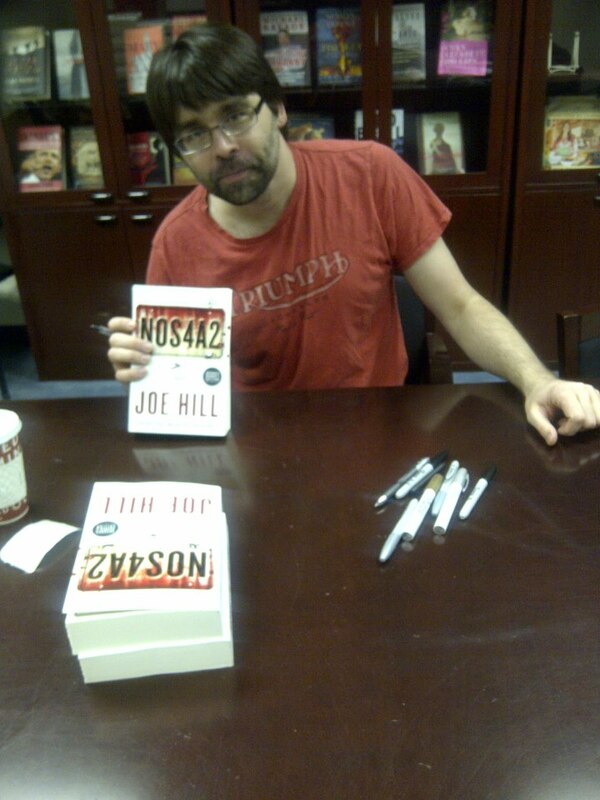 On Tuesday, May 14, 2013 at 7:15pm at Mysterious Galaxy in San Diego, California, author Joe Hill will sign and discuss his new novel NOS4A2. Please note that this is a numbered event. Numbers for the signing line are free with the purchase of NOS4A2 from Mysterious Galaxy, available April 30th, starting at 10a.m. If you are planning to attend the event, please do not place your order through the web site as all such orders are processed after the event. Instead, please contact the store and purchase the book on or after the on-sale date. Joe will be touring the U.S. to promote NOS4A2 and you can check out where he will be appearing HERE.